The Phi Psi Foundation is committed to funding fellowships that promote the leadership development of today’s college student. The power of these fellowships lies in the actions of the undergraduates who attend and return to campus to enact positive change. The Foundation underwrites fellowships for students who display excellent academic success and a genuine desire to improve their leadership skills. The fellowships include registration and travel expenses. Multiple recipients will be selected for each of the programs. Phi Kappa Psi members in good standing with their Colleges or Universities are encouraged to apply. The Shane Yates Fellowship makes funding available for brothers pursuing educational opportunities that build leadership, values-based learning, healthy lifestyles, and/or emotional and cultural intelligence. The fellowship covers a significantly broader area of education than any existing chapter or national scholarship. Examples of initiatives that would qualify for funding under the Shane Yates Fellowship might include tuition reimbursement for a college class on emotional intelligence; costs for becoming certified in a mental health-related area, such as suicide prevention; fees for attending a one-day men’s healthy lifestyle seminar. The Phi Psi Foundation annually awards Undergraduate Interfraternity Institute (UIFI) Fellowships which cover costs associated with registration for the program and reasonable travel accommodations. UIFI, hosted by the North-American Interfraternity Conference (NIC), is unlike anything you have experienced! This five-day, intense, hands-on clinic is designed to reach attendees core and assist them in finding their true fraternal calling. Participants are involved in all aspects of the Institute. UIFI is not for individuals who prefer lecture style leadership experiences. Attendees know and understand the true meaning of belonging to an organization and affecting change not only within their chapter but on their respective campuses and in their communities. Brothers who attend a UIFI session are changed forever. They are able to return to their chapter and teach what was learned and better understand how to be a leader. The program is geared for those individuals who are ready to realize their potential and ready to achieve goals set by themselves, their chapter, and their Greek and college/university communities. Participants reside in a chapter house that becomes “home” for the week. Major sessions are complemented by small group meetings, called chapters. Chapter meetings are designed to help participants explore, define and enhance their leadership skills and identify the timeless principles through which they can define themselves individually and organizationally. Each participant is challenged to develop a personal plan of action and make a commitment to leading his or her organization through the change process. In addition, participants have the opportunity to network and build friendships with numerous other Greek community leaders. UIFI is open to all initiated undergraduates. 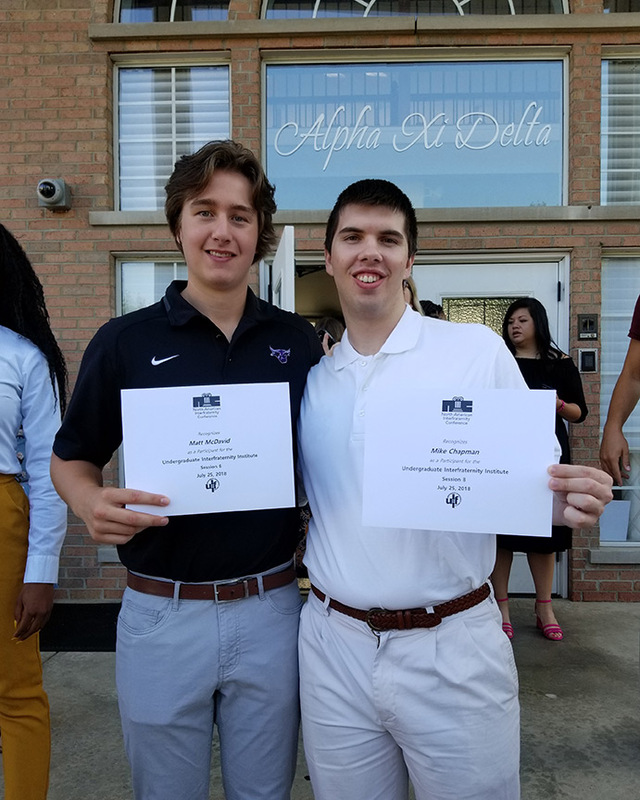 However, many participants either serve on their campus fraternity council or in a high leadership position within their chapter. For additional programming information on UIFI, including past attendee testimonials, please visit the NIC’s website. If you have application questions, please feel free to contact the Foundation offices at 800.350.1852 or Fellowships@PKPFoundation.org. UIFI has changed my life forever. I am so determined to improve not only myself but also my chapter, and perpetuate Phi Psi's fundamental ideals. Thank you for offering fellowships to attend such a valuable leadership experience. I am forever grateful.